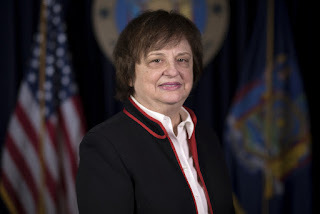 NEW YORK – Attorney General Barbara D. Underwood — part of a coalition of 11 Attorneys General — sent a letter today to eight national fast food franchisors about "no-poach" agreements in franchise contracts, which restrict a franchisee's ability to recruit or hire employees of another franchisee of the same chain. Prompted by concerns that these agreements hurt low-wage workers and limit their ability to get better jobs, the Attorneys General have requested information and documents from these companies. "Workers deserve to have the opportunity to earn higher wages and seek promotions — yet no-poach provisions make that impossible," said Attorney General Underwood. "My office will continue to protect the rights of workers in New York and across the country." According to the letter, 58 percent of major franchisors have no-poach provisions in their franchise agreements, and the number is even higher – 80 percent – for fast food franchisors. Worker advocates argue these provisions have led to persistent low wage growth and are anticompetitive in nature. The letter sent today asserts that no-poach provisions make it difficult for workers to improve their earning potential by moving from one job to another or seeking a higher-paying job at another chain location, and that many workers are unaware that they are subject to these no-poach provisions. The letter was sent today to Arby's, Burger King, Dunkin' Donuts, Five Guys Burgers and Fries, Little Caesars, Panera Bread, Popeyes Louisiana Kitchen, and Wendy's. The letter asks these restaurants to provide documents that include copies of franchise agreements and communications related to no-poach provisions by August 6, 2018. In connection with the investigation, the Attorneys General interviewed workers impacted by no-poach agreements, including a McDonald's worker in Iowa, Maria, who was barred from leaving her part-time job at one McDonald's location to take a full-time position at a different location. When Maria tried to report for work at the second McDonald's store, she was told that they could no longer hire her because she was working at another McDonald's. New York workers who have been subject to a no-poach restriction or have questions about other contractual limits on their workplace rights, or who believe that their rights have been violated in their workplace are encouraged to file a complaint at https://ag.ny.gov/labor/complaint-form. For information about New York State's wage and hour laws, workers may visit the Attorney General's website at https://ag.ny.gov/bureau/labor-bureau for resources. The letter was led by Massachusetts Attorney General Maura Healey and signed by the Attorneys General of New York, California, District of Columbia, Illinois, Massachusetts, Maryland, Minnesota, New Jersey, Oregon, Pennsylvania, and Rhode Island.